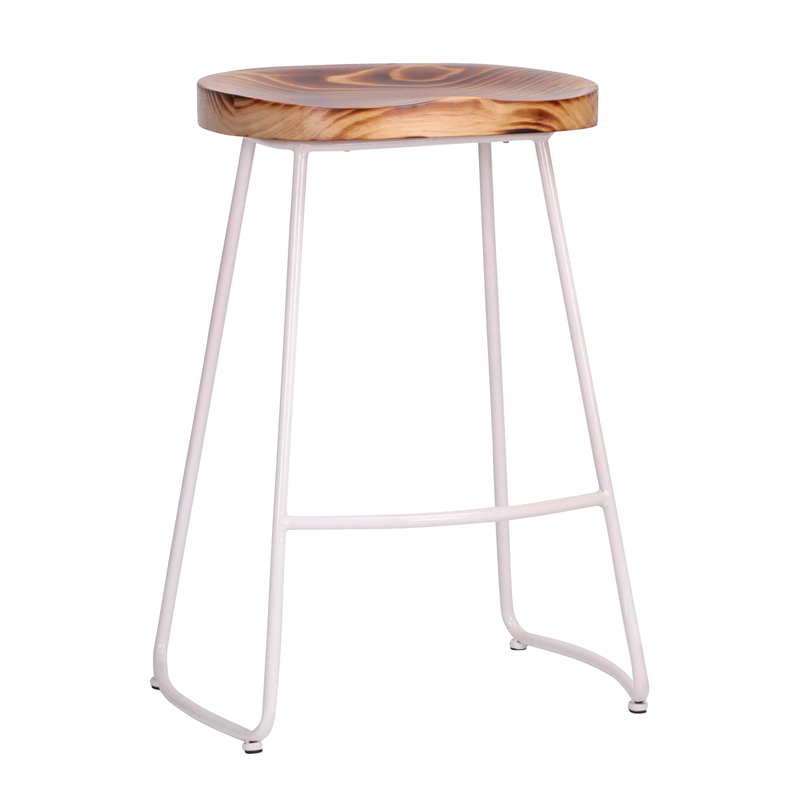 Strongly made metal frame with wooden shaped seat. 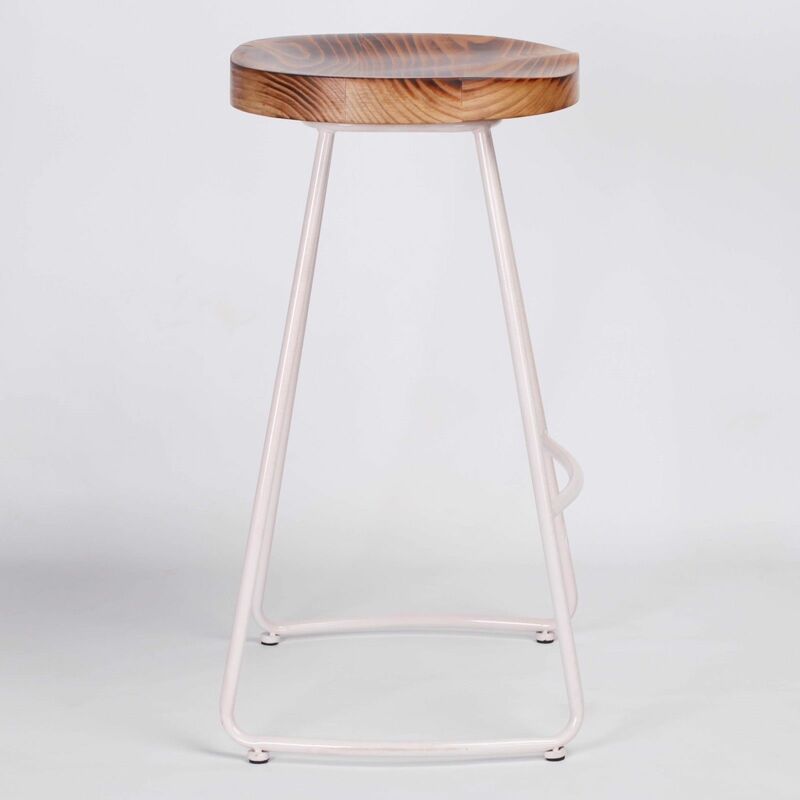 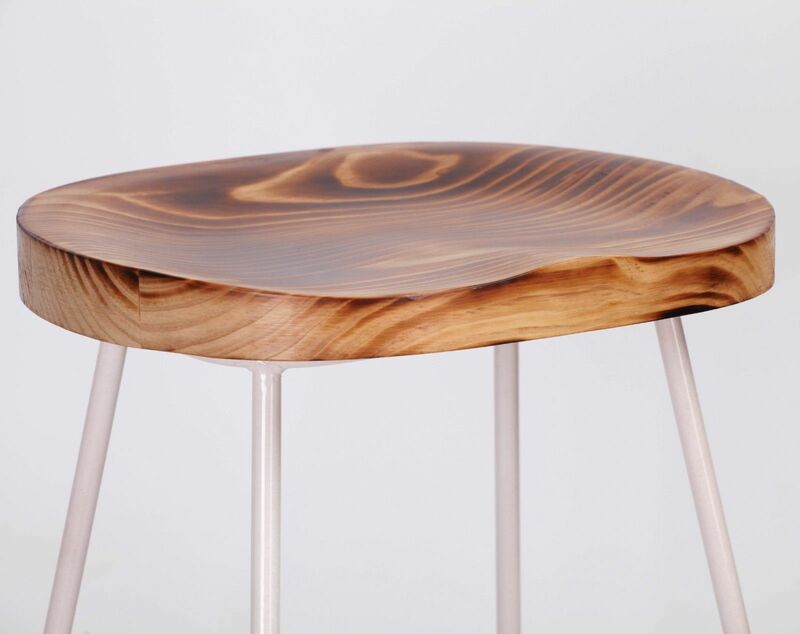 This Bar stool is inspired by industrial design with a vintage burnt wood top shaped for comfortable seating. 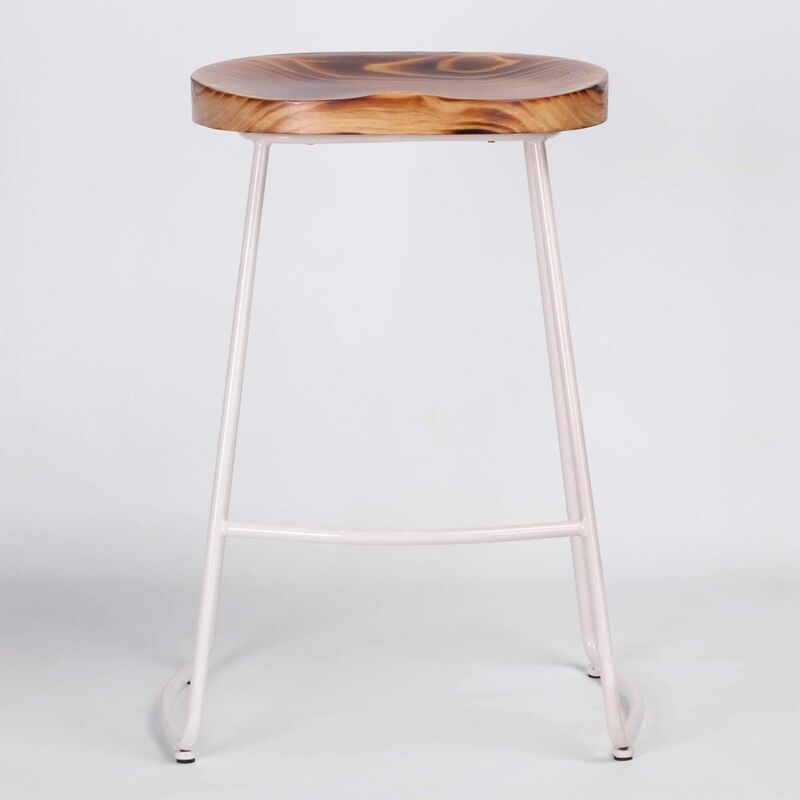 The Wood seat has been finished with a burnt wood process to give it authentic vintage look and has an added varnished protective top layer to protect wood from marks.